If you love playing Scrabble, you know the importance of having a good Scrabble dictionary to settle challenges and disputes that arise during a game. 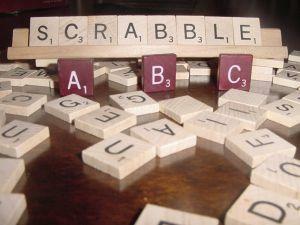 Harper Collins Publishers offers several versions of dictionaries for Scrabble. All of their dictionaries are endorsed by Mattel. The hardcover edition of the Deluxe Scrabble Dictionary includes short meanings for all of the words included in the book. The pocket sized dictionary for Scrabble by Sandra Anderson and Harper Collins Publishers is the perfect size to take with you for games away from home. Harper Collins also publishes a paperback version of their dictionary for this popular game which includes short definitions and tips and hints on using the premium Scrabble squares, blank tiles and the letters S, Q, J, X, and Z. The Chambers Family Scrabble Dictionary: Official Scrabble Reference by Una McGovern is derived from the Chambers dictionary and is designed for recreational Scrabble playing. Another popular dictionary for Scrabble players is The Merriam-Webster Official Scrabble Players Dictionary Illustrated Edition by DK Publishing. The illustrated dictionary uses the text of The Merriam-Webster Official Scrabble Players Dictionary. For Scrabble players that prefer using online dictionaries, there are a number of different options. While many players choose to use online versions of these dictionaries while playing a game of Scrabble via the Internet, it must be noted that unless you notify your opponent that you are using a Scrabble online dictionary, it is considered cheating. The Scrabble dictionary from Hasbro uses the word list from the Merriam-Webster's Official Scrabble Player's Dictionary, 4th Edition. Puzz.com Wordfinder is part of the a2z wordfinder website which provides free dictionary resources for Scrabble in several languages and easy to understand instructions. The Phrontistery provides two and three letter Scrabble words, the tournament word list (TWL98), the international word list (SOWPODS) and the standard North American word list. Scrabble Solver is an online Scrabble word finder. Your Dictionary provides many of the features that Scrabble players look for in a game dictionary. Dictionary Langenberg provides a number of types of dictionaries including Scrabble, crossword puzzle and anagrams. If you use an online Scrabble helper make sure to keep your computer safe by having your security and spyware protection turned on and up to date. Whether you prefer using a hardcover lexicon, a large print paperback or an online version, a good Scrabble dictionary is a favorite resource of Scrabble players everywhere.